I actually started writing this yesterday but wasn’t sure what I needed or wanted to say. Hours after I posted a great tribute to the Boston Marathon, how magical and amazing it is, tragic events brought this race to an end. I sat in bed early yesterday morning listening to the excitement and the cheers, while watching the race on my laptop. I wore one of my Boston shirts, an urban-style subway route shirt, all day in support. I wanted to show my spirit and love for the city and the race all day. I ended up wearing that same shirt the rest of the day to commemorate what happened and show my support in a different way. I wore the same shirt to bed. I don’t even know how to describe what I felt. I was incredibly shaken and in shock when I found out. I cried. I could not believe what I was hearing and seeing on TV. Many people texted me, emailed me, and found ways to communicate their concerns. Most of these people were concerned that I was there, knowing I had been before and could possibly be there this year. People I hadn’t talked to in years contacted me. All the joy and inspiration I had felt earlier in the day, went away. It was like someone blew out a candle. It was just gone. This didn’t seem real. It still doesn’t. 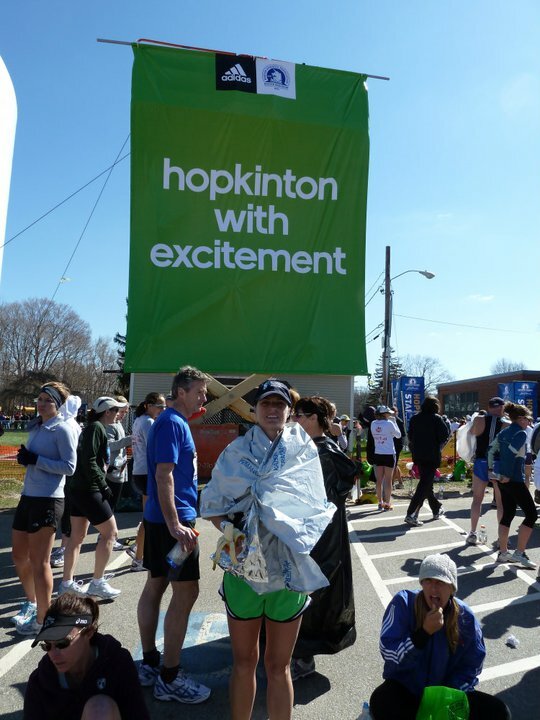 It really hit home when I looked through my Boston Marathon pictures from 2011 and came across the one of me running towards the finish line. It was taken by my friends on the same side of the street where the first bombing was. My friends were standing in the same exact area where the bombs went off. It gives me chills. But my broken heart still loves the city of Boston tremendously and we will all get through this. The running community will get through this together. Today is April 15. Most of you know this day as Tax Day. Yes, I think we all dread this deadline. 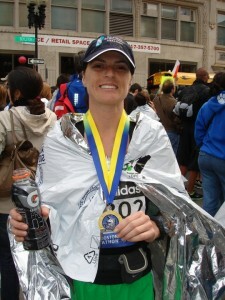 Today is also the Boston Marathon and the same day, one year ago, that I ran the Paris Marathon. 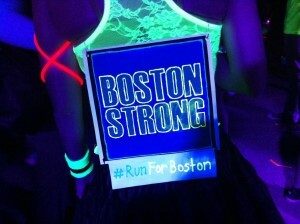 Both these races hold a special place in my heart, but Boston is at the top. 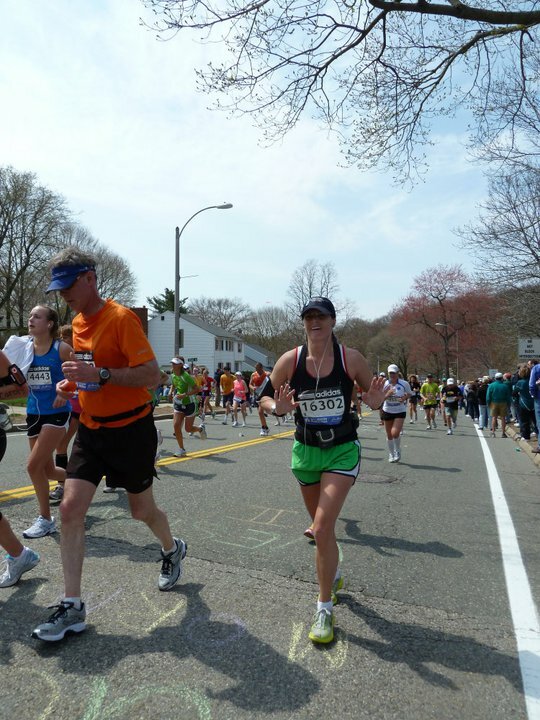 The Boston Marathon is the world’s oldest annual marathon and a race you have to qualify for. This morning I woke up at 6:25am to watch the live stream. I plugged in my headphones into my laptop so I could listen and not wake my sleeping boyfriend. It’s a very exciting race to watch. 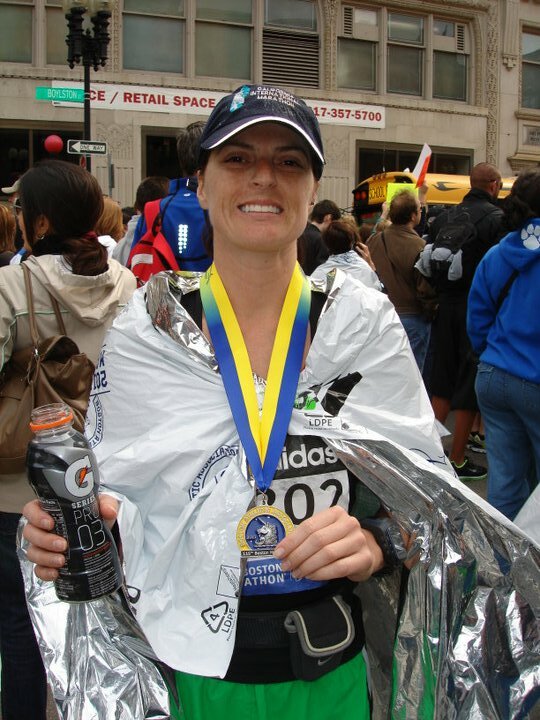 I ran the Boston Marathon in April 2011. What an amazing adventure and journey that was. To be a part of a group of such outstanding athletes. For 3 hours and 51 minutes I got to run with all those elite runners…it was such a great feeling. These are some of the best in the world and I was part of history with them. This particular year, Geoffrey Mutai of Kenya set the course record with a time of 2:03:02! 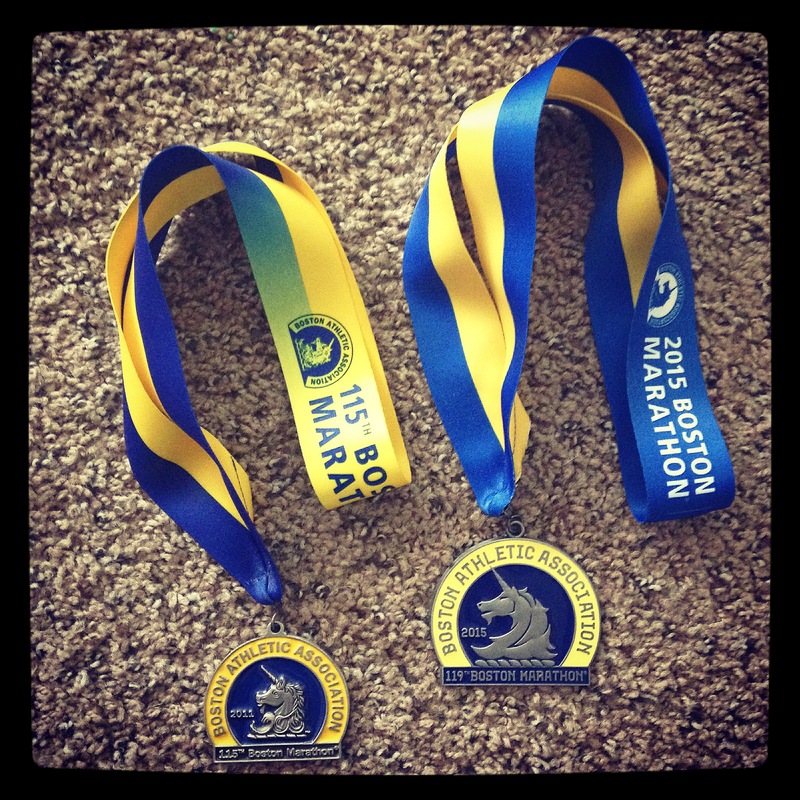 This adventure to the Boston Marathon was something I never thought about until after my first marathon. I ran a pretty good race at the CIM in 2008 and then I put a lot of pressure on myself to try and run a qualifying race at the Rock n’ Roll San Diego Marathon in 2009. I ended up getting really sick with a sinus infection and had a horrible race. I told myself after that to not put that kind of pressure on myself. 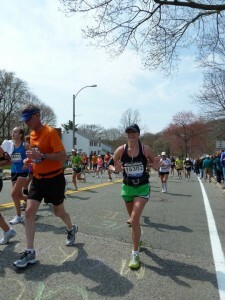 And at the CIM 2009 is where I qualified for Boston! I was pretty excited. But the next step was entering the race. 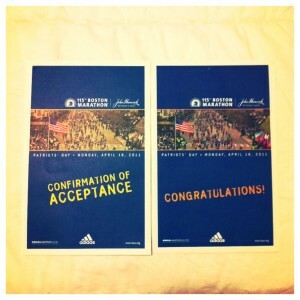 I had to wait til October 2010 to actually enter the Boston Marathon. I was on vacation with Clint in Playa del Carmen and the day the entries opened we got on the hotel lobby computer to fill out the form. For some reason it kicked back and I wasn’t sure if my info went through. So, we decided to do this on my phone, but we had to rush to get on a ferry to go to Cozumel. While on the ferry waiting to take off from the dock, I realized I had wi-fi, so I hurried to get it done. As we took off from the dock I saw the wi-fi bars slowly starting to fade away…I had to hurry! It seemed to go through! I felt better and relaxed. 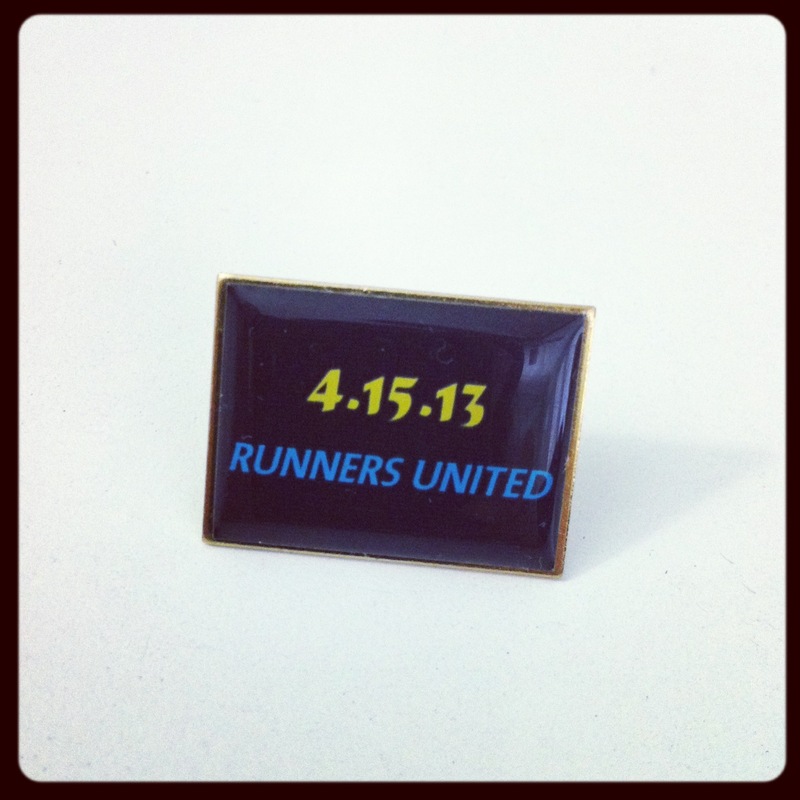 Then I got an email from my running partner, Brian, that the entries had closed in a record 8 hours that day! Holy moly! When I was having difficulty entering on the hotel lobby computer, it had crossed my mind to wait til we got home in a couple days to enter. I am so glad I didn’t wait, because I wouldn’t have gotten in and I would have been really disappointed. The race wasn’t for another six months, so this seemed to be a long process. I booked hotels with my friends and trained well before the race. Clint couldn’t come along for the journey, but as we had our last dinner together before leaving for the race I became really emotional. I had been having dreams that I wouldn’t be able to run, that my legs literally wouldn’t work, when the gun went off at the race. I was a little anxious and had no idea what was in store for me. And I wanted him to be there. Fast forward a few days to the Expo. This was truly exciting! 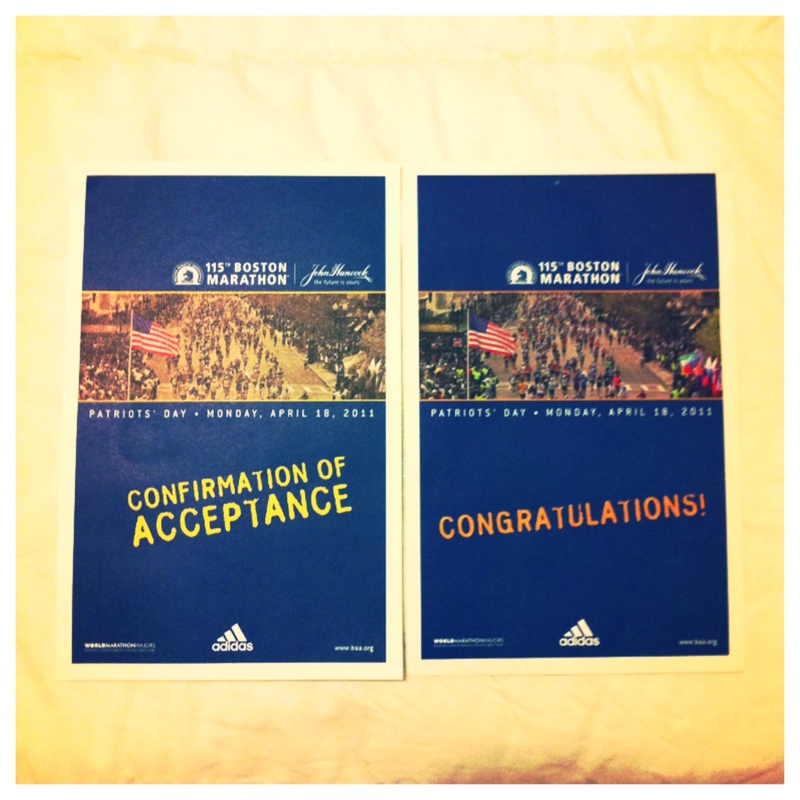 I got my bib and my long sleeve Boston Marathon participant shirt. This is the coveted Boston jersey in yellow and blue. I was emotional. My friends were there to support me on this journey and I was happy they could share this with me. The race is held on Patriot’s Day each year, which is also the third Monday in April, and is also known as Marathon Monday. There is a lot of history behind this race. There is also a Red Sox game on the same day. A lot is going on in Boston on race day and hundreds of thousands of people come out to cheer on the runners. The morning of the race, we hopped on the subway to get to the area where the buses were to take all of us runners to the start line. It’s 26 miles away so we were in a caravan of yellow school buses on the freeway, escorted by a police motorcycle motorcade. I felt so important. When we arrived at the start area, it was windy and cold and I had no idea what to do. I had to go to the bathroom one last time before my 10:30am (yes, it starts this late in the morning) corral time. I was actually running late now, so I had to run to my corral. This is it! I was having trouble with my iPod but scrambled with that for a few. I also started off being a little conservative in the beginning because people kept saying that the race starts off going downhill and you will take off pretty fast. I actually felt my heal rubbing on the back of my shoe so I needed to stop at an EMT booth to get some tape to cover my heel. And off I went again. There were so many people along the course the entire way. In small towns and big towns…all types of people. It was really fun! Brian mapped out the course to hopefully meet up at different spots along the way to see me run. And as I hit the dreaded uphill miles around mile 17-21, Brian showed up! Right when I needed him. 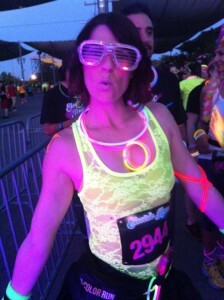 I plowed through those last miles and I felt the crowds getting bigger and bigger. It was starting to become a reality that I was about to finish this race. I saw the tall buildings downtown and knew I was close. As I turned the last two corners I started to cry. I gave all I had that last mile. I turned onto Boylston Street and saw the blue finish arch and looked for my friends between the tears. It was an amazing feeling crossing that finish line. I still cry thinking about this race. I don’t know why, but this race was like going to the Olympics. It’s probably the biggest accomplishment for me. 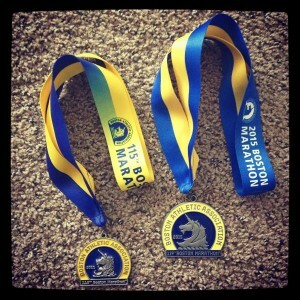 Some people get to go to the Boston Marathon once in their life; some get to go several times. I envy the latter. But I do hope to go again someday. 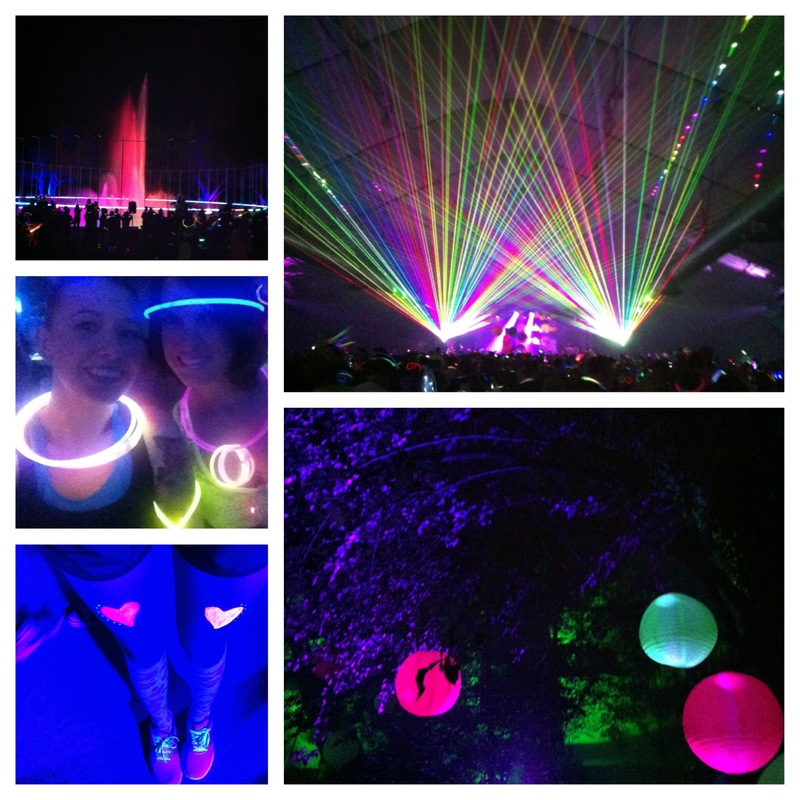 However, if I never get there again, I won’t be disappointed because this experience was one of the best in my life.